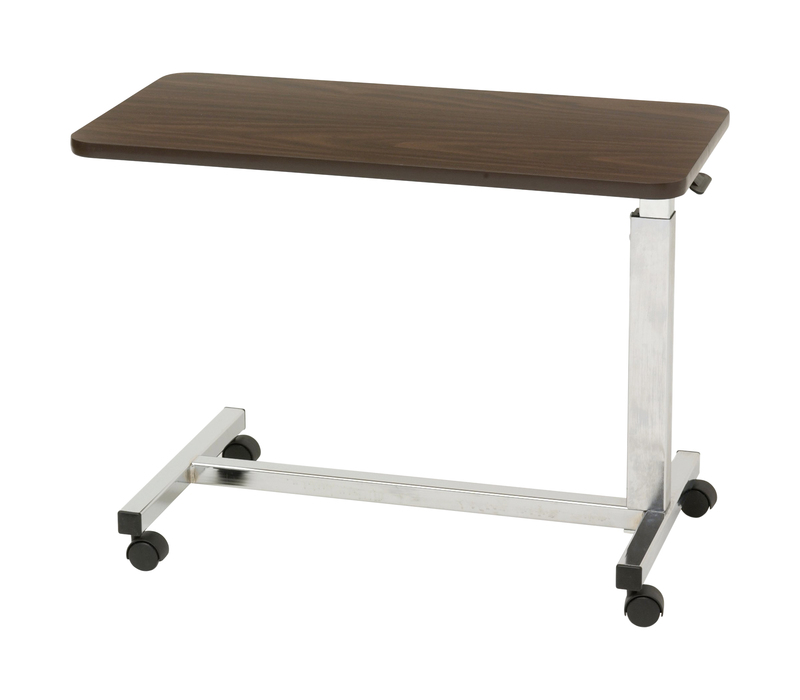 Top can be raised or lowered in infinite settings between 19.5"- 27.5"
With a 3.25" frame-to-floor clearance this overbed table by Drive Medical was designed specifically for use with low beds. A spring-loaded lift mechanism provides infinite height adjustments from 19.75" to 28.75". The roomy 15" x 30" high pressure laminate top with T-molding still provides plenty of surface area and has a weight capacity of 50 pounds. Twin 1.5" swivel casters allow for easy maneuverability.